This article was updated July 25, 2017 to reflect a correction in the text of the story. Prompted by investigations into alleged misappropriation of funds at Tri-Valley Learning Corporation, a charter school chain based in Alameda County, the California Charter Schools Association and advocates for more charter school transparency are stepping up efforts to advance competing approaches to combating financial fraud, waste and mismanagement. Tri-Valley operated in two districts in Northern California, east of San Francisco. It had two schools in Livermore in Alameda County and two schools in Stockton in San Joaquin County. The Alameda County district attorney was already investigating Tri-Valley when the state’s Fiscal Crisis and Management Assistance Team completed an audit in June. That report concluded that charter school executives had conflicts of interest and that the organization had commingled funds, including the use of “bonds totaling over $67 million to purchase land and buildings under the pretext that the acquisition was for a public charter school.” Tri-Valley filed for bankruptcy in June, the same month its schools were closed. The scale of the alleged misappropriation of funds at Tri-Valley is raising larger issues about how to ensure that public money for charter schools is not misspent. In its 2015 report, “Risking Public Money: California Charter School Fraud,” the San Francisco-based nonprofit law firm Public Advocates estimated losses of more than $100 million due to fraud for that year. “While charter schools are subject to significant reporting requirements and monitoring by oversight bodies, including chartering entities, county superintendents and the State Controller, no oversight body regularly conducts audits,” the report states. Assemblyman Patrick O’Donnell, chairman of the Assembly Education Committee, is among those calling for more charter school transparency. For example, he told EdSource last week that charter schools need standardized financial management systems, such as common software, to share their data with the school districts that oversee their operations. “It’s clear that the statutory framework in this state has been reactive and not proactive,” O’Donnell said. Representatives of the California Charter Schools Association disagree. “We need flexibility in financial management because there are many kinds of charter schools,” said Colin Miller, the association’s senior policy advisor. Instead, the charter association supports legislation that would allow county offices of education to regulate charter organizations that operate in multiple school districts. Miller said oversight of Tri-Valley might have been more stringent if it had been regulated by the board of education for Alameda County, the site of the charter operator’s headquarters, instead of by two school districts in different counties. This is the latest skirmish involving critics of charter school governance and the charter school association. 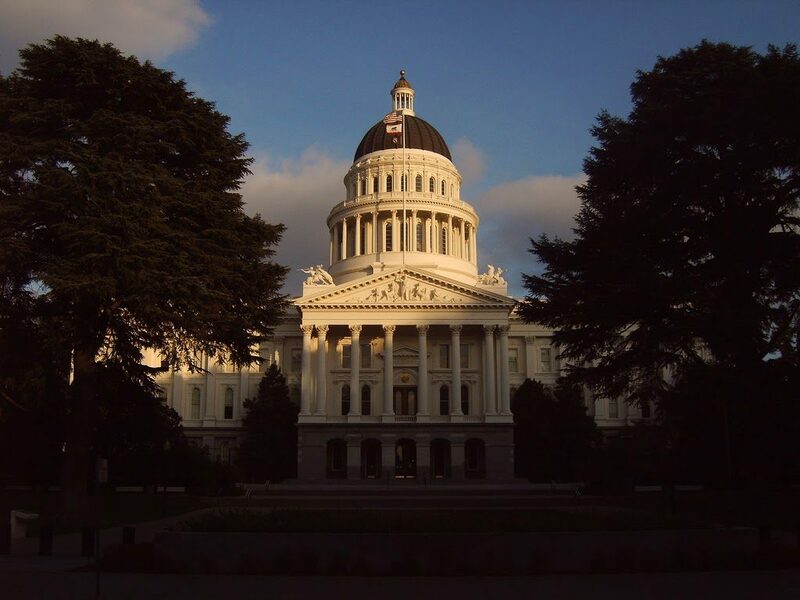 Some of the competing ideas for improving oversight were discussed and debated at a California Assembly Education Committee hearing last week. The Livermore Valley Joint Unified School District tried to address fiscal management problems at Tri-Valley by sending 22 notices of concern in 2016, district Superintendent Kelly Bowers told the committee. But the district needed stronger intervention tools, she said. “We only have the revocation process to hold charters accountable but it’s a long process that can be appealed,” Bowers said. However, the charter association’s Miller, in a post-hearing interview with EdSource, said the threat of revocation was adequate “leverage” for those overseeing charter schools. The charter association says legislators could help charters avoid the money-raising pressure that can lead to financial trouble by providing charter schools more access to surplus district property. The charter association supports legislation, Senate Bill 765, which would give charter schools the first right to obtain property that a district plans to sell or lease. After last week’s hearing, the charter association issued a statement that said the organization was “disappointed” by O’Donnell’s stand on SB 765. It’s not the first time the charter association has attempted to influence legislation related to governance. The association has, since 2008, lobbied to help defeat five bills that would have made charter schools subject to open meeting and conflict of interest laws. Supporters of the bills said such legislation would reduce charter school fraud. Two of those bills were actually passed by the Legislature. Gov. Jerry Brown vetoed one of them in 2014 and Gov. Arnold Schwarzenegger vetoed the other in 2010. The charter association opposed the bills for a number of reasons. For example, the association has said that conflict of interest laws would prohibit charter school board members from providing financing to their schools. A new bill, Assembly Bill 1478, would also make charter schools subject to conflict of interest and open meeting laws. It was recently approved by the Assembly’s Education Committee with O’Donnell’s support. A full Assembly vote has not yet been scheduled. Correction: An earlier version of this story misstated the number of notices of concern the Livermore Valley Joint Unified School District sent to the Tri-Valley Learning Corporation. I would like to know why charter schools don’t use the same accounting software that California school districts use. Other than closures due to lack of enrollment, if I understand press reports accurately, most charter schools close or are denied renewal because of financial mismanagement. Oversight in this area should be easier and more transparent. 1. CCSA should immediately require a commitment from all of its member schools to adopt a transparency clause and begin open meetings (if not doing so already) within twelve months latest – and should declare such action as essential for a school’s continued membership. 2. Districts can and must insist that as part of all charter petitions, new or renewal, the school and management entity must (i) commit to transparency and open meetings, and (ii) must accept a district member onto their elected board. (And kudos to those districts who’ve recently rejected petitions based on the petitioners refusal to comply). Waiting for the legislature to address this problem and failing to take decisive action themselves suggests that CCSA and the districts are only interested in transparency and accountability as buzzwords and not as essential everyday acts. For the sake of children, staff and taxpayer dollars that has to change.